Intruders broke into an Arkansas animal shelter last week and pitted dogs against each other, resulting in a "bloodbath," shelter employees said. The Humane Society of the Delta in Helena-West Helena, Ark. said several dogs were wounded and their kennel was destroyed, the Arkansas Democrat-Gazette reported. "The scene was straight out of a horror film," the shelter said in a Facebook post. "It was a bloodbath. Kennels had been destroyed in the mayhem to give you an idea of the kind of fighting and violence that took place. To say we are disgusted at the kind of person who could do this to helpless, homeless animals is an understatement." 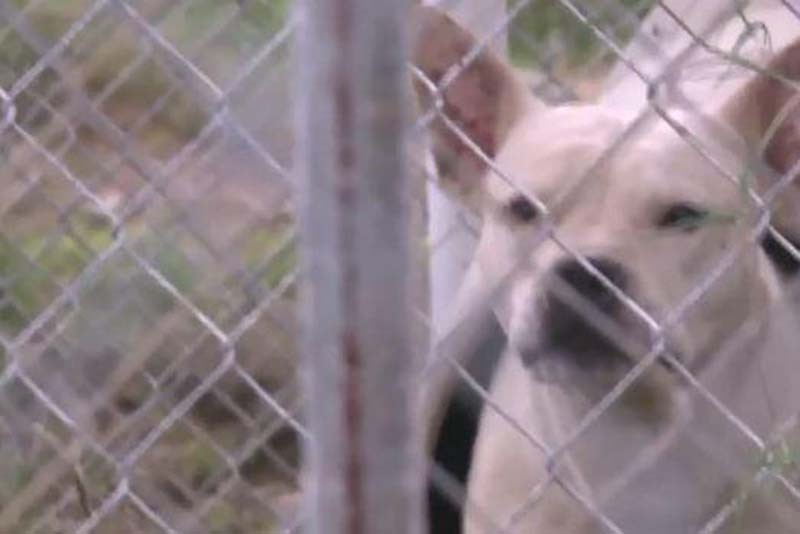 The shelter's operations manager Reta Merritt told WREG-TV that eight dogs were released from their pens and some were put into pens with other dogs. Meanwhile, the intruders may have brought their own dogs along to use the shelter dogs as "bait." A 10-year-old hound-mix named Rubio was attacked by at least two dogs in the incident. In a video posted on Facebook, Rubio had gaping wounds and bite marks all over his body. "He probably has 20-plus puncture wounds in his head, his throat, his back," Merritt said. "On his side, he's got a hole about the size of a quarter that you can see in." "They have feelings, they have everything just what like we do," Merritt added. "And to know that somebody literally went in deliberately is just mean."